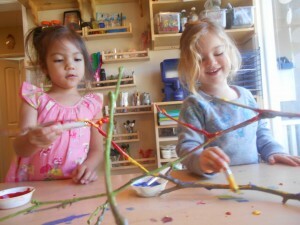 Last week the children went on a nature walk and found a lot of cool things on their way. They found the biggest branches they have ever seen. 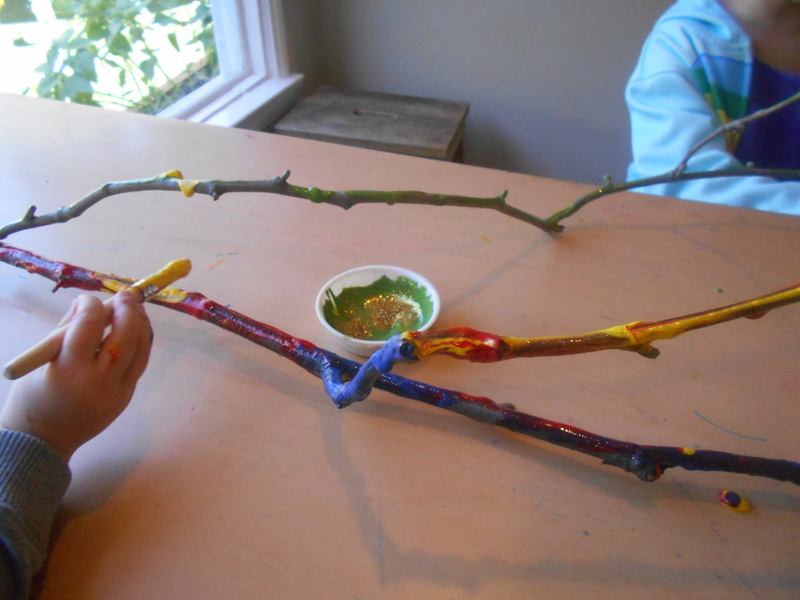 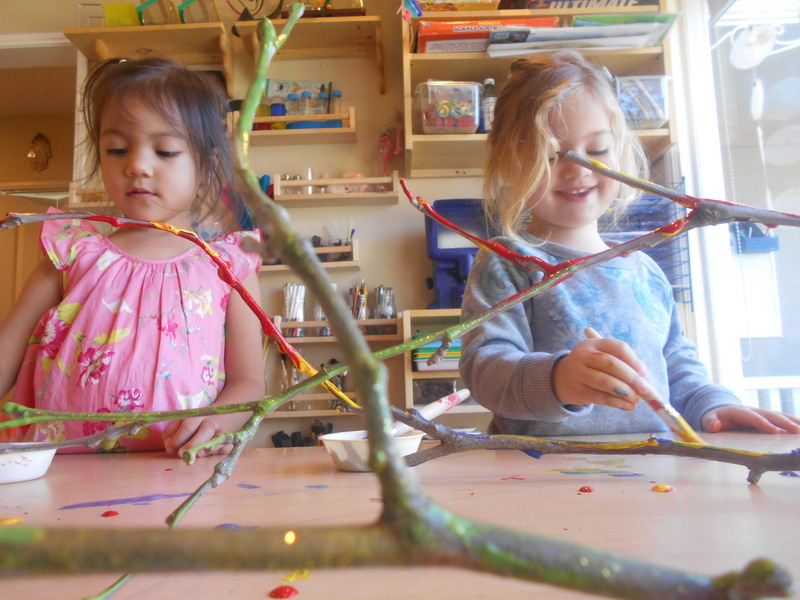 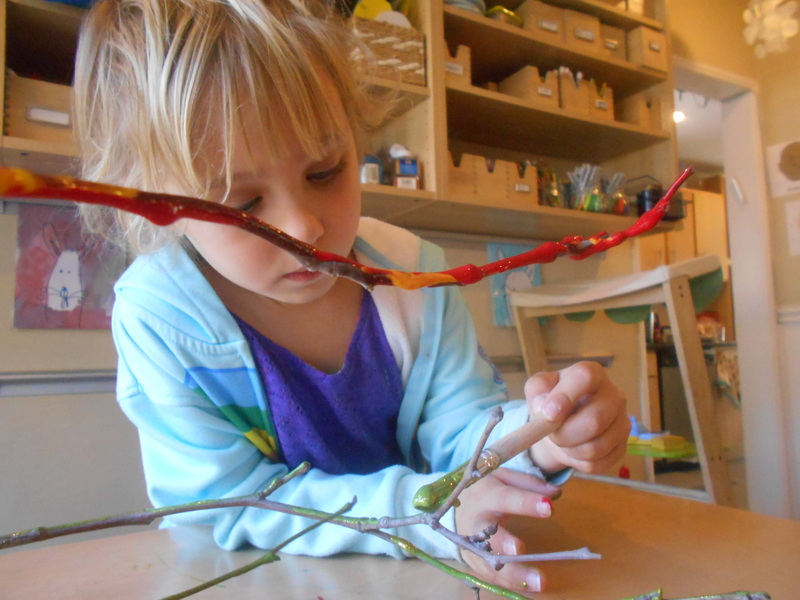 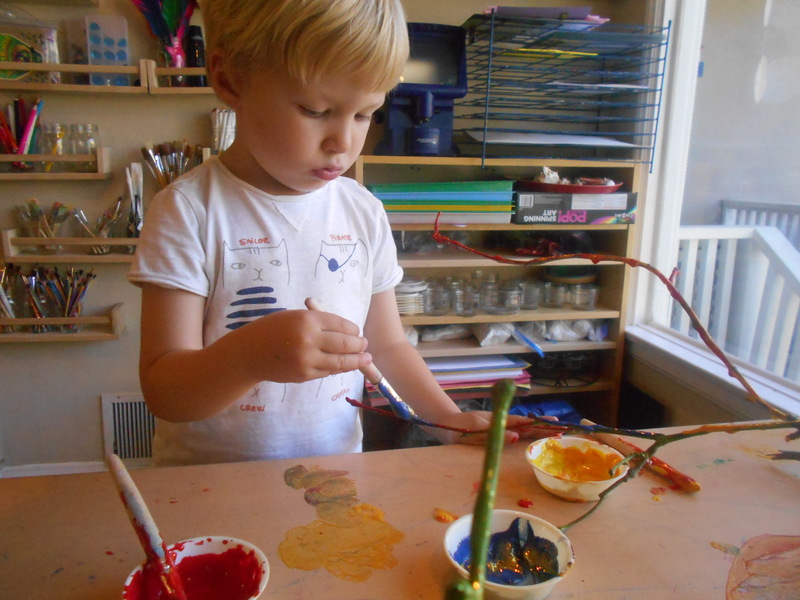 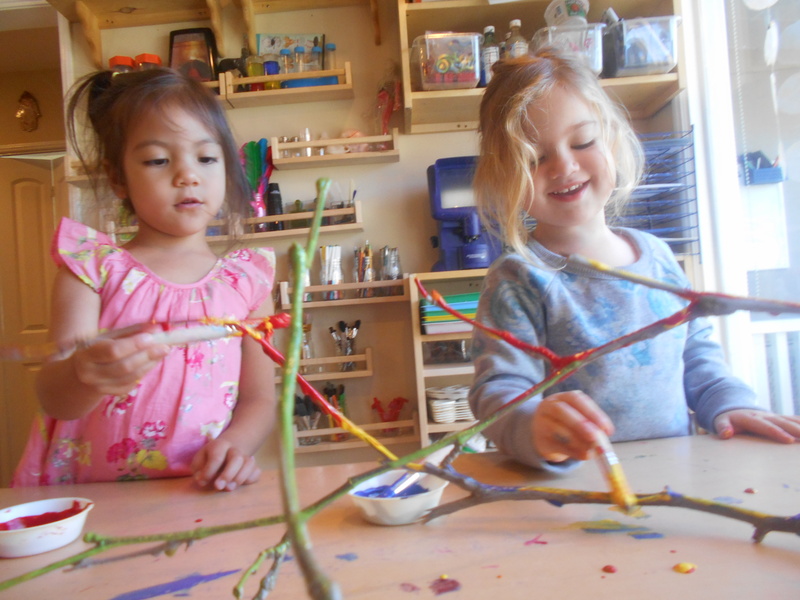 The children decided to paint the branches in different colors. 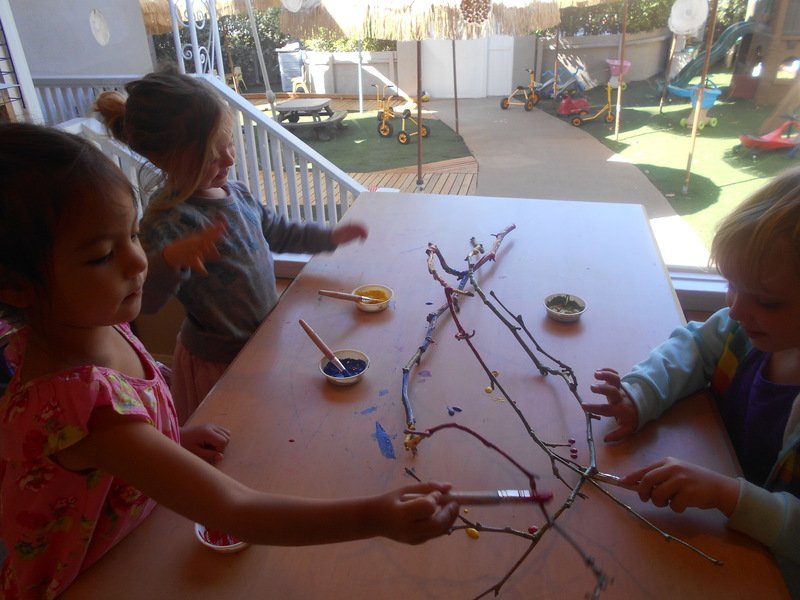 The children then decided to add some glitter to make the colors stand out.